Valve overlap is a secondary means to cool exhaust valves with intake air during valve overlap. Primary cooling is accomplished by dissipating heat to the valve seats. Engines that always run at a relatively high speed, such as race car engines, will have considerable overlap in their valve timings for maximum volumetric efficiency. Road car engines are different because they are required to idle at less than 1000rpm, and excessive valve overlap would make smooth idling impossible because of the mixing of fresh and exhaust gases. Variable valve timing can give both maximum power at high rpm and smooth idling at low rpm by making small changes to the relative angular position of the camshafts and thereby varying the valve overlap. Many two-stroke cycle and all wankel engines do not have a camshaft or valves, and the port timing can only be varied by machining the ports, and/or modifying the piston skirt (two stroke applications). 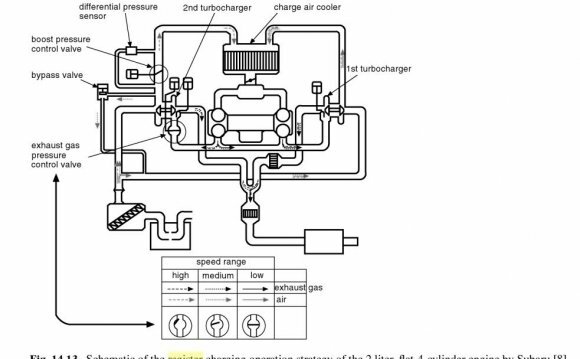 However, some supercharged two-stroke diesel engines (such as the Wilksch aero-engine) do have a cylinder head and poppet valves, similar to a four-stroke cycle engine. In an external combustion engine, such as a steam engine, the control of the valve timing is by the valve gear. In a typical piston valve arrangement, the timing of the intake and exhaust events for each cylinder are inextricably related as they are governed by the movement of a single piston uncovering two ports. However, the duration of the intake event can be controlled (the "cut-off") using the reversing gear and this reduces steam usage under cruising conditions. Caprotti valve gear is more closely related to that of an internal combustion engine, uses poppet valves, and was developed to allow independent timing of the intake and exhaust events. It was never used as widely as piston valves or the earlier slide valves.